You've got a great acting career but suddenly there's buzz everywhere about your band Enation. What's going on there? We've released our new record, World In Flight and we're really excited about it. 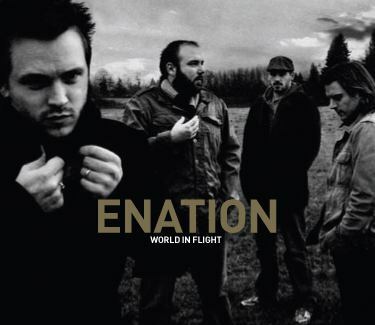 We've had Enation for over six years now, and have had some good exposure in the past, but this year it really took off with much more national exposure Two Enation songs were featured on CW's TV show One Tree Hill (Feel This and World In Flight as well as one on the A&E show Dog The Bounty Hunter (Come Clean). We're focused on connecting with our fans and we seem to be having some great viral things going on with one fan telling the next and so on. Music has always been something that we have seen as going hand in hand with acting and filmmaking, so it seems to fit that the music is an equal part of our creative expression. We want to make music that inspires them, as well as ourselves. Music has always been something that my brother (actor and Enation frontman Jonathan Jackson) and I have seen as going hand in hand with acting and filmmaking, so it seems to fit that the music is an equal part of our creative expression. We're thrilled Enation is continuing to grow. What was Enation's big break and how did it come about? CW's TV show One Tree Hill has been a huge boost for us in terms of exposure. One Tree Hill put on an amazing USO show last year and we’re proud that included Enation. They used the footage from their filming as part of an episode which featured Enation. So this One Tree Hill exposure was great but at the same time our fan base is expanding with a surprising number of great people in the UK, Italy, France and several other countries. World In Flight was reviewed from one of the biggest rock websites in Spain, www.RockTotal.com and the review was everything we would hope it to be. Of course we couldn't read it until it was translated! Where can people listen to a sample of Enation's music? The best place is www.enationhq.com, our official website which has several songs available to stream. We've also heard you have launched a new record label. What can you tell us? The old model of a record company is either dying or is already dead, so we're looking at Hilasterion as a relational-business structure that gives artists the support to make the music they want to make, within the context of a community, more than a business model. Our independent label is called Hilasterion Records and Jonathan and I see it as a venue to give artists the kind of creative environment to really be themselves. The old model of a record company is either dying or is already dead, so we're looking at Hilasterion as a relational-business structure that gives artists the support to make the music they want to make, within the context of a community, more than a business model. It's of course a business, but the goal is to make a structure where artists like Everly (formed with One Tree Hill actress and singer Bethany Joy Galeotti and Amber Sweeny), can have a team of supporters that aren't there to control but to enhance the creative process. I think artists need a supportive community to do their best work, without the confines of a major label looking over their shoulder. That's what Hilasterion is to us, a relationship driven community and artistic approach to the business of making music. How do you manage your dual citizenship between Washington and California? It's been such a part of my life for so long, traveling back and forth from Washington State to California that my wife and I just take it one day at a time. I love the Northwest, and it’s my home, with my family and friends there, so I spend as much time as I can there. I don't mind traveling, so I'm up for it, but at the same time I don't like being away from my wife and family either. We try to limit the amount of time we're apart..
How does that work with the band and also with your family? With acting and Enation, traveling is just part of the deal. We also try and bring our families or spouses with us as much as we can, because family is of the utmost importance to us. I couldn't do what I do without their support. We look at it as an adventure; an adventure that can be complicated at times and sometimes annoying, but ultimately one that's worth being on together. What's next? Are there new projects in the works? I think artists need a supportive community to do their best work, without the confines of a major label looking over their shoulder. Enation is already working on new music and developing a tour schedule for the coming year. That will keep me quite busy! Jonathan and I are also finishing a couple of screenplays that we are working with a producer to turn into films as well. The acting career is going well and we'll see what the next projects will be. It's an up and down business, but I feel very blessed to still be doing this 16 years after starting at age 13. Have you ever worked as an actor with your brother, Jonathan? I have worked as an actor with Jonathan. We did a Showtime film together several years ago called The Prisoner of Zenda, Inc. and we also did an independent film called True Rights. Jonathan and I also co-directed the short film Crystal Clear, which won three awards at the Brooklyn Film Festival, including Best Short Film and a Coen Brothers Award for duo-filmmaking. I think we're a great team and we’ve learned over the years that what we do together is more powerful than what we could do apart. Can you name a favorite acting project you've worked on? They’re all great but three really stand out. The first is the Michael Landon Jr. directed western drama for the Hallmark Channel Love's Long Journey. Doing a western, it can't get a whole lot more fun than that! The second would be working with Jim Caviezel on the MGM movie Madison, and the third would be playing opposite Calista Flockhart in Ally McBeal. Each of those were unique for me, and I had a great time working on them. 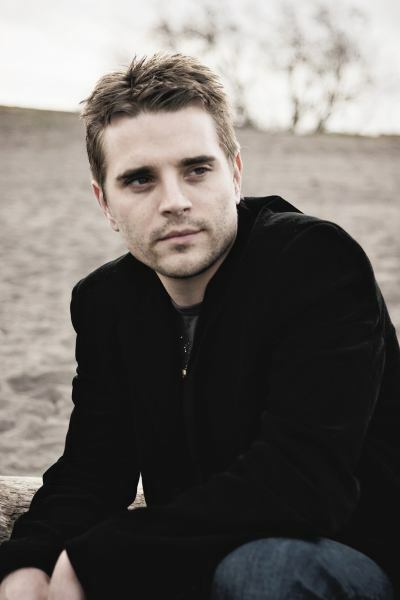 Award winning actor, producer, recording executive and drummer for the band Enation, Richard Lee Jackson is a leading voice of the new entertainment industry model.